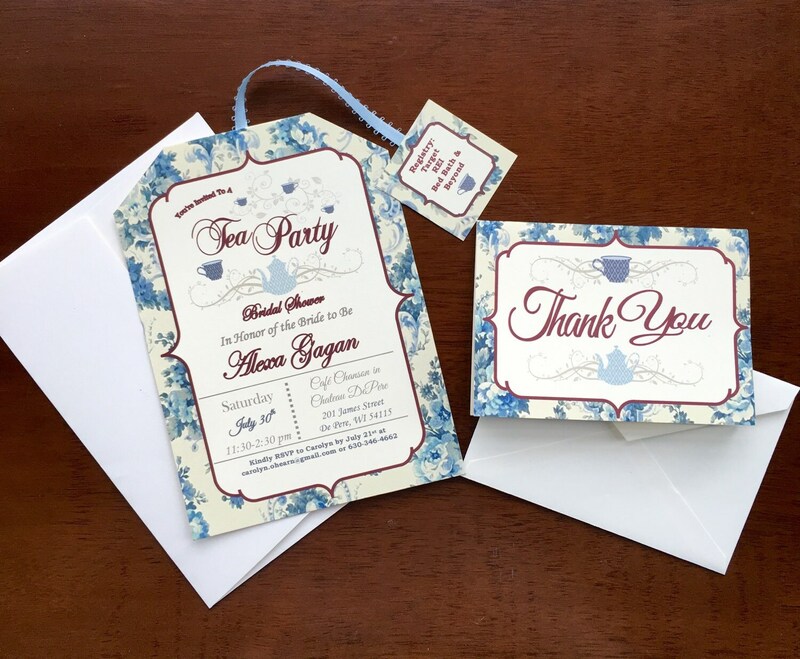 Matching, made to order, tea party bridal shower thank you cards! These cards match my custom tea party bridal shower invitations. These cards are blank inside and allow the bride to write a special message to her guests. The front of the thank you card includes a custom personalization with the bride's name. Thanks! Contact me with any questions. 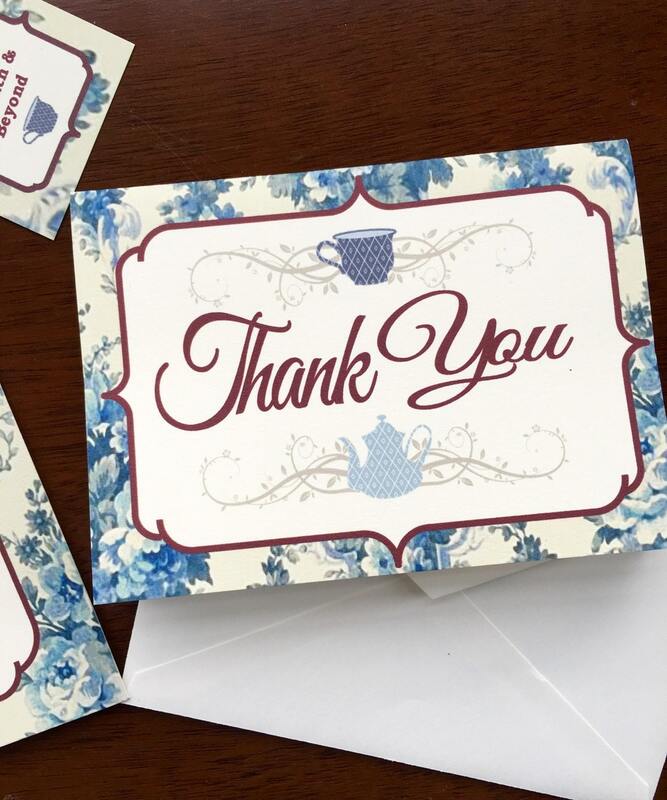 These thank you cards are a beautiful addition to the invitations we ordered. Thanks!